FOLLOW US! 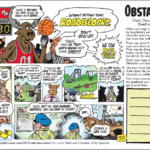 Hang with the Hip Herd! 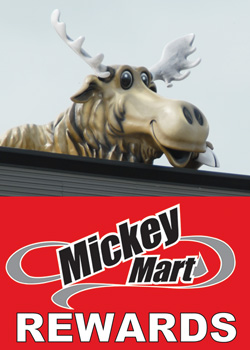 "HAPPY EASTER to all our Friends and Family in all our Mickey Mart communities!" "There's nothing like fresh Ohio spring air! It overflows with the energy of new life awakening from winter slumber. Do yourself a favor and stop whatever you are doing, get outside and take a few deep breathes, just to enjoy it. Be in the moment!" KING-SIZE CANDY! When regular-sized candy just doesn't cut it! Great Easter Basket stuffers! 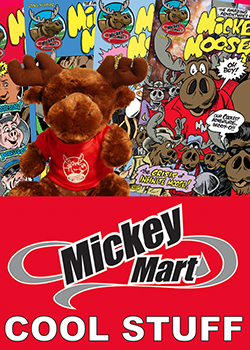 The entire month of April, Mickey Mart Rewards Members get KING-SIZE CANDY for only A BUCK! Mickey says: "With great sadness, I'm announcing my retirement to pursue my passion for sailboat racing, farming, and fishing! 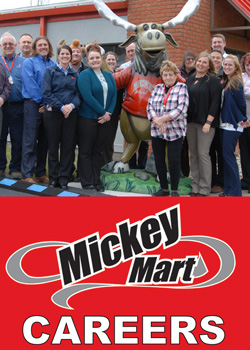 It's been a pleasure serving everyone in Northern Ohio for these many years!" Morty won out in an epic showdown against Murray the Mackerel and Molly the Monkey! There has got to be merch now. You didn't waste a minute ! 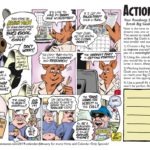 "Daylight Savings Time begins at 2am Sunday morning! Don't forget to set your clocks ahead one hour! 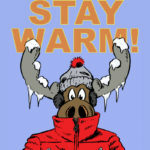 It's Time to Start Thinking Spring!" 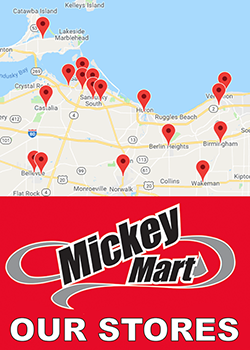 The Mickey Mart Fuels Schools Initiative will designate 5¢ from every gallon of gas sold at one specially marked pump, for the entire year, to local schools! 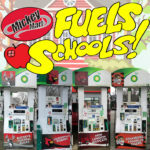 Congratulations to 2019's selected Mickey Mart communities, Strasburg, New London, New … [Read More...] about Mickey Mart Fuels Schools in 2019!